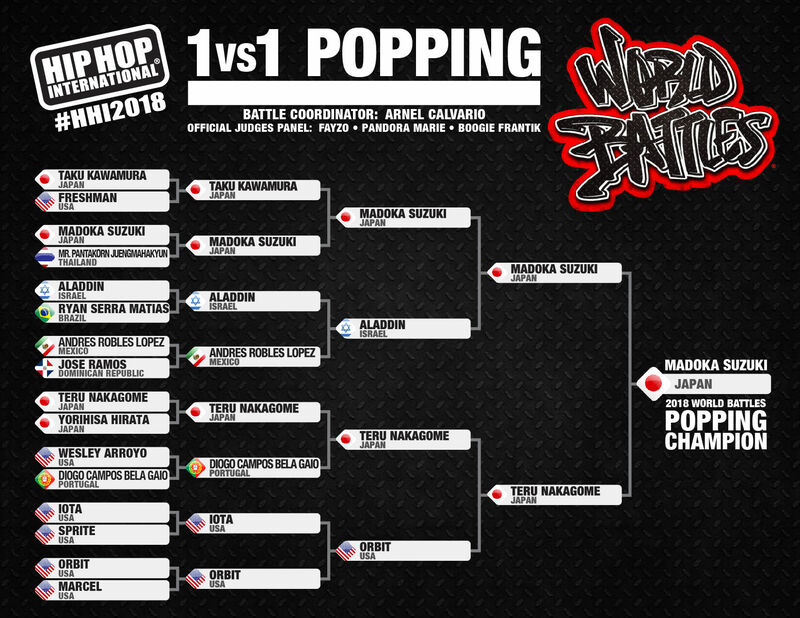 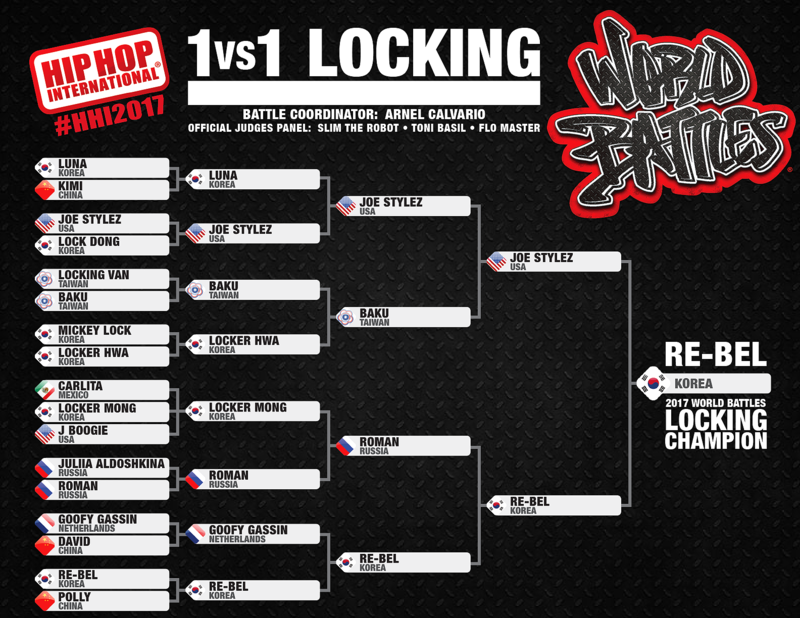 1vs1 Popping, Locking, Breaking, Whacking Battles, and 2vs2 All Styles Battles are judged by internationally accredited and honored legends and leaders in street dance. 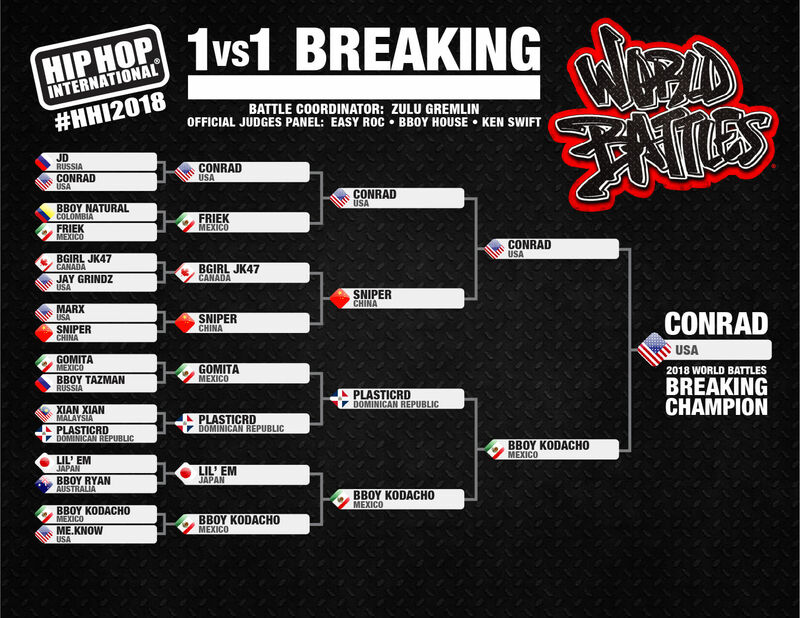 World Battles day now features an exciting and unique opportunity to attend the “Real Talk” panel discussion. 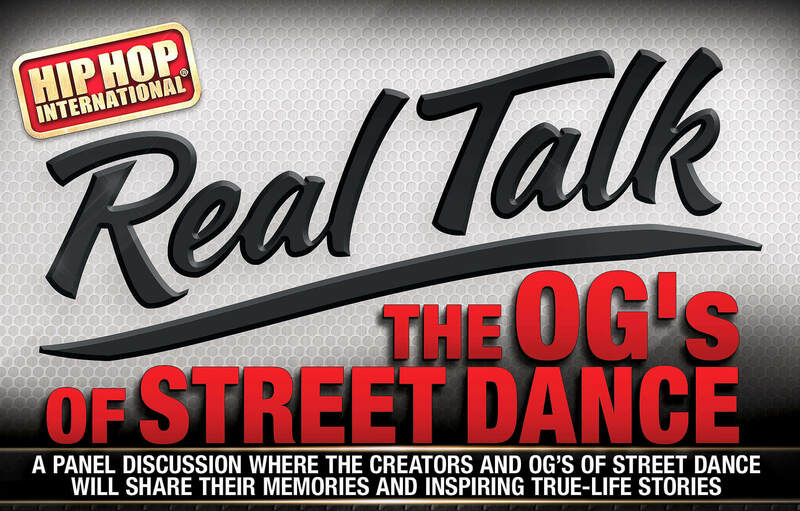 Admission to Real Talk is included in the World Battles ticket. 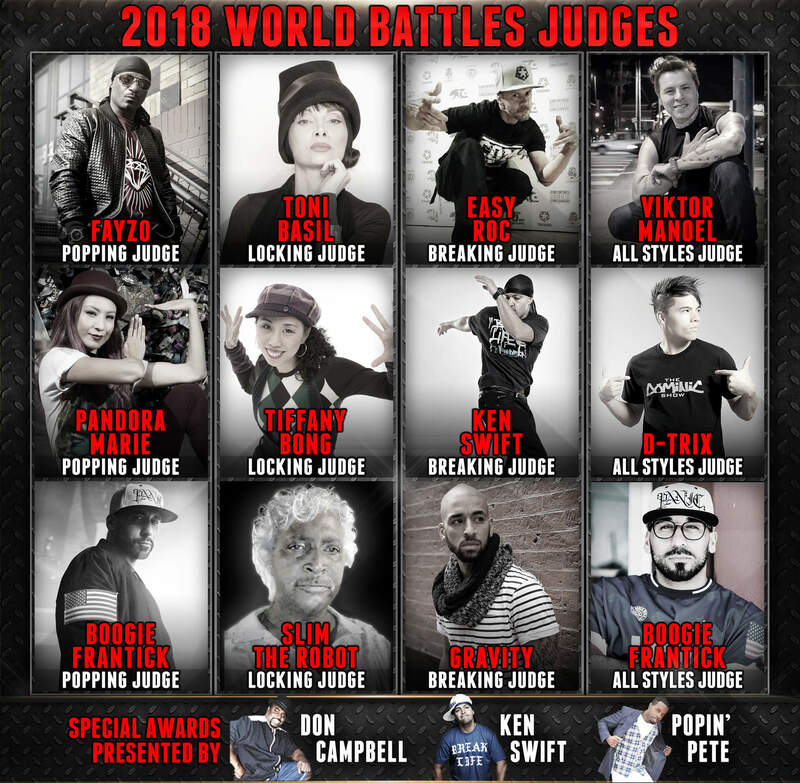 All World Battles competitors and competing dance crews in the USA and World Championships attend free of charge. 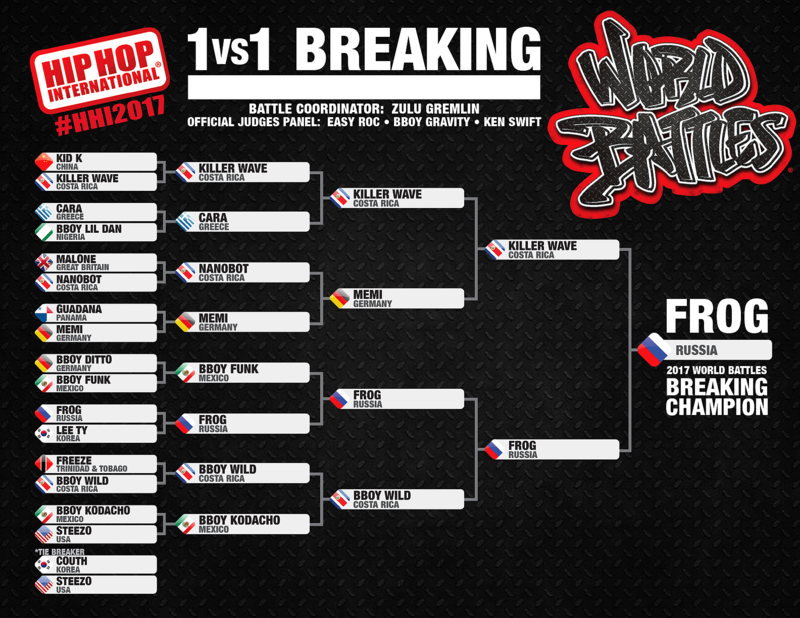 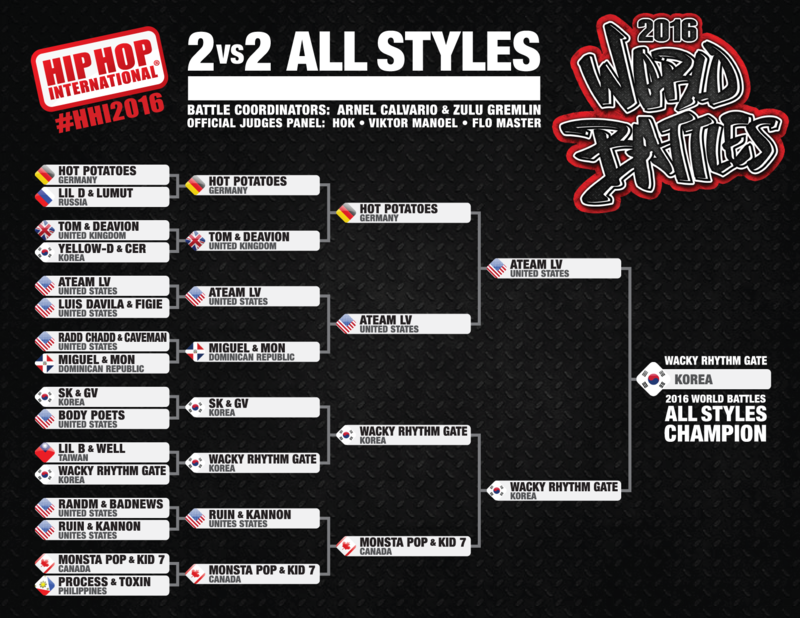 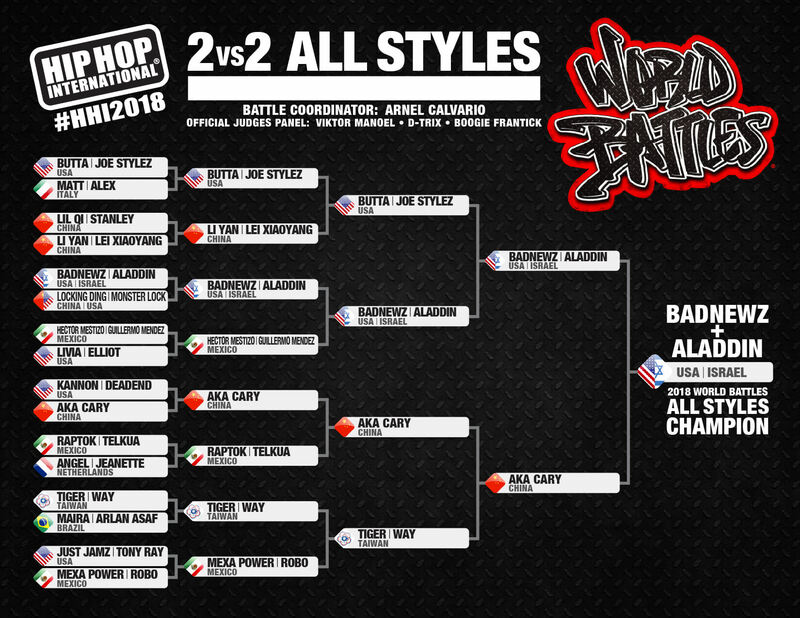 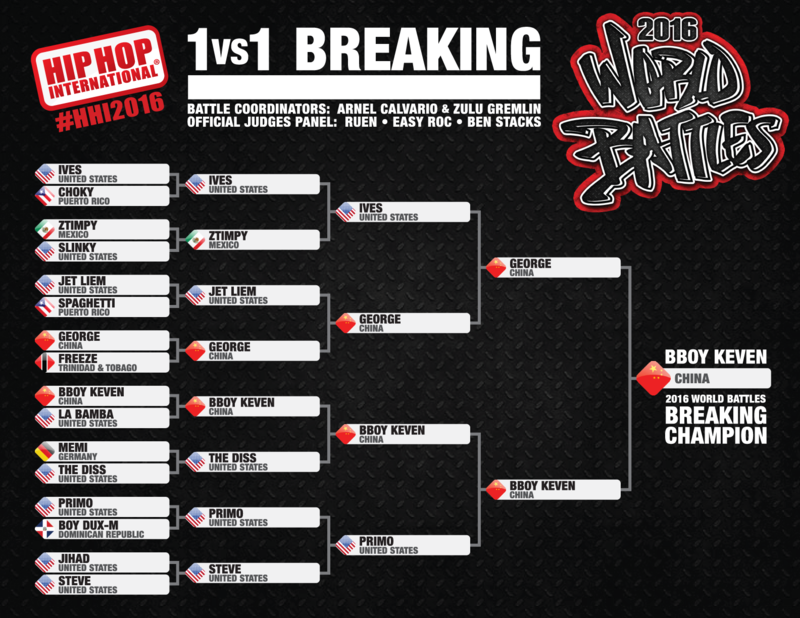 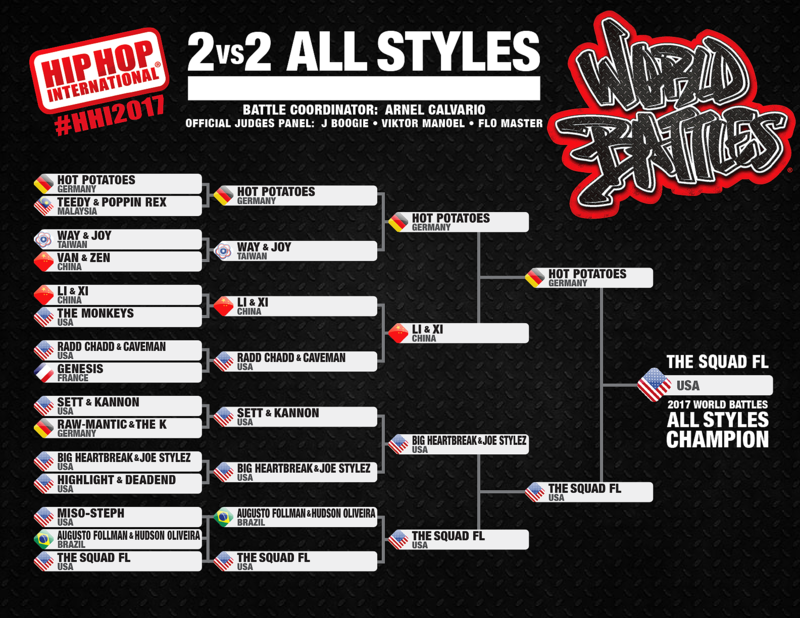 The HHI World Battles are state of the art competitions for world’s top boys/bgirls, lockers, poppers, whackers and all stylers who represent their countries for prizes and world dominance.